Customer Support team members from Airbus Helicopters Inc. will be at Heli-Expo 2016 to meet with customers and update them on key service and support issues and tools. The Airbus Helicopters exhibit is located at Booth #9651. Mike Muniz, Director of Customer Support, and John Byus, Sales Manager for HCare, will be on hand during the show to discuss the support and services options offered under the Airbus Helicopters HCare programs. ECommerce Trainer Darren Huski will be onsite to demonstrate the latest revisions to Keycopter, the Airbus Helicopters online system for ordering spare parts, warranty updates, and viewing online technical publications. Also, customers can view a demonstration of the new Technical Request Management tool on the Keycopter platform. 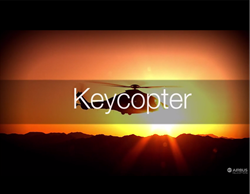 With this tool Keycopter users can initiate, track and database all technical questions and answers relating to Airbus Helicopters products. This is a powerful tool for managing technical requests that can be used by all members of an operator’s service organization. To learn more about this application or to schedule an introduction / training session while at Heli-Expo contact Brent Butterworth at brent(dot)butterworth(at)airbus(dot)com. On Wednesday, March 2, the Technical Support team will host an open forum for owners and operators of the AS365/EC155 Dauphin family of helicopters. The meeting is for operators to discuss their issues, concerns and share best practices. The Dauphin forum will be held from 1 p.m. to 4 p.m. in the Kentucky Exposition Center, Freedom Hall, Suite V3. Technical support team members Brent Butterworth, Mark Jones and Peter Soderlund will be on hand to meet with operators. Airbus Helicopters, Inc. is the U.S. affiliate of Airbus Helicopters, the largest helicopter manufacturer in the world, and a subsidiary of the Airbus Group. Airbus Helicopters, Inc. manufactures H125 and UH-72A helicopters and markets, sells and supports the broadest range of civil and parapublic helicopters offered in the U.S. The product line represents the industry’s most cost-effective, technologically-advanced helicopters serving all markets and missions. The company’s headquarters and main facility are in Grand Prairie, Texas, with a large manufacturing and production facility in Columbus, Miss. For more information, visit http://www.airbushelicoptersinc.com.